Video: Evanta ("Copyright 5.24.16 Evanta Ventures LLC.") -Kelly Leonard. Video: Kelly Leonard, Executive Vice President, The Second City at SMW Chicago. Video: TEDxZumbroRiver: Kelly Leonard | Learning Lessons Through Improv. 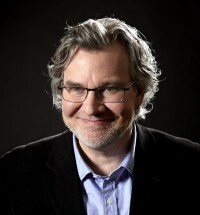 Kelly Leonard is the Executive Vice President of The Second City, world renowned improvisational comedy theatre enterprise in Chicago, IL, and The President of Second City Theatricals. Leonard is a popular speaker and gives audiences an experience in the art of improvising and how it applies to all facets of, business, life and creativity. Leonard has worked at The Second City since 1988 and has overseen productions with such notable performers as Stephen Colbert, Tina Fey, Steve Carell, Adam McKay, Seth Meyers, Rachel Dratch, Amy Poehler, Jason Sudeikis, Keegan Michael Key, Amy Sedaris and a host of others. 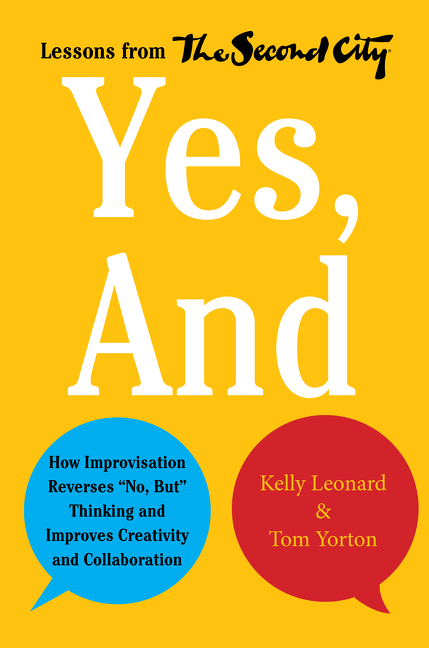 His book, “Yes, And,”(Harper Business), co-authored with Tom Yorton, looks at Second City as the laboratory for innovation that produced both generations of celebrated comic artists and award winning content. It explores the dynamics of this revolution in which players mastered an ability to co-create in ensembles; using philosophies that embrace both a “yes, and” approach to the work as well as an unflinching embrace of failure; leadership, listening and a learned degree of the science of both comedy and play which have contributed to an overall expertise in the art of making something out of nothing. Leonard explains the revolution in how we learn, communicate, and work that is currently in motion. He unveils the new improviser’s toolkit required to thrive in a world increasingly shaped by the speed of information, social communication, the democratization of power and influence and resurgence in the importance of soft skills in the workforce. Asides from being an avid producer, Leonard is in high demand as a speaker for a wide range of audiences including Universities, Fortune 500 corporations, as well as creativity seminars and workshop programs. He can offer listeners a world of experience in the art of improvising and how it applies to all facets of life and creativity. Additionally, audiences can benefit from the lessons of a “Yes, And,” lifestyle and the ability to turn nothing into something. Leonard co-founded Second City Theatricals, the division of the company that develops an eclectic array of live entertainment all over the world. Recent productions include The Second City Guide to the Opera starring Renee Fleming and Sir Patrick Stewart with Lyric Opera Chicago; “America All Better” which was nominated for a Helen Hayes Award at The Woolly Mammoth Theatre in Washington, DC; and the collaboration with Hubbard Street Dance that premiered at The Harris Theatre in Chicago in October of 2014. Leonard also brokered the deal that brought The Second City to the high seas where the company maintains full time ensembles aboard a number of Norwegian Cruise Line Ships. Leonard has received many honors, including being named to Crain’s Chicago Business 40 under 40 List and named one of the top 40 cultural figures in Chicago by Time Out Magazine. He recently received an honorary doctorate from his alma mater, Lake Forest College. Leonard lives in Chicago with his wife Anne Libera and their children Nick and Nora.